Any craftsman will tell you that quality matters. When you're working hard and producing a quality product that lasts, it's something you can be proud of. Well, that's how Danner feels about these Non-Metallic Toe Waterproof Men’s 12455 Brown 11-Inch Crafter Well ... (see full details) (see specifications) #12455. Any craftsman will tell you that quality matters. When you're working hard and producing a quality product that lasts, it's something you can be proud of. Well, that's how Danner feels about these Non-Metallic Toe Waterproof Men’s 12455 Brown 11-Inch Crafter Wellingtons. Designed for hard-working guys like you, these pull on men's boots use only the highest quality materials for Wellingtons that are comfortable and durable and something Danner stands behind 100%. Soft but strong nubuck leather, DannerDry waterproof protection, and Danner’s famous interior comfort all work together to make sure that your feet feel great during work and at the end of the day. 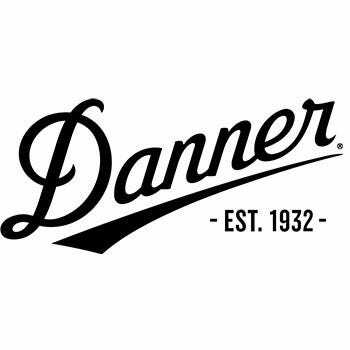 The Danner brand appreciates that you work hard and wanted to make you men's footwear that you can appreciate at the end of the day. With added features like triple-stitching and extra durable nubuck leather, these Crafter Wellington boots are built to last. The non-metallic safety toes are lightweight and protective still meeting or exceeding ASTM F2413-11 M I/75 C/75 standards. The generous toe box design gives you plenty of wiggle room as your work, so even those tasks that cause you to bend as you move will not cramp your style. The rugged exterior is made with industrial strength for toughness that's ready for any job site. The 11-inch nubuck leather uppers are a rugged dark brown that protects your feet from hazards of your work day. Soft and flexible, this leather feels like a second skin on your feet while protecting them from abrasions and messes that you face every day. There's no need for a break-in time, as these Danner non-metallic safety toe boots are ready to go right out of the box. Leather finger pulls at the top make getting these brown waterproof boots on in the morning quick and easy. Heading out with the guys right after work? No problem; the sleek design looks great with work pants or casual clothes, too. Inside the 11-inch brown boots, you'll find the extra plush DCS footbeds, a Danner exclusive, made to keep you going strong all day. Hard terrain, uneven terrain, concrete, tile...whatever it may be that you walk on all day, the shock absorbency and support from the footbeds of these pull on work boots will have you feeling great even at the end of your longest day. Lined with Danner Dry liners, moist air is drawn away from your feet where the sweat is evaporated for all-day dryness and moisture management. The full-length polyurethane core is designed to support your feet with Danner’s patent pending comfort system. These brown leather slip on boots also feature specialized heel clips and 90-degree heels for increased balance and support. The rugged outsoles are oil- and slip-resistant for superior traction and stability, too. In your craft, you build things you're proud of, and Danner is the same way. Trust the brand and these Danner Non-Metallic Toe Waterproof Men’s 12455 Brown 11-Inch Crafter Wellingtons from Working Person's Store with your comfort and safety. I was struggling trying to order jackets for my maintenance staff. I was referred to Michael by another phone representative because of budget issues business to business possibly Michael could work with me on pricing. Michael has been amazing to work with, he is very customer orientated and has a great sense of humor. Michael made me feel as if he had only one customer and it was me! What an asset and great representative for your company. The embroidery was wonderful the changes made to our logo were perfect. The staff are very happy with their jackets. Danner Boots: Non-Metallic Toe Waterproof Men's 12455 Brown 11-Inch Crafter Wellingtons is being added to your cart.